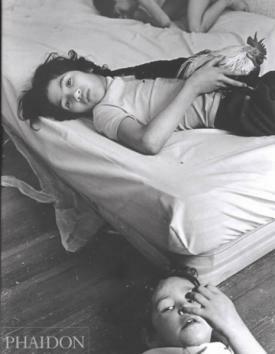 Dorchester Days: Published by Phaidon in 2000When Eugene Richards first published a collection of black and white photographs of this neighborhood in 1978, he found himself in some hot water. Richards called his book "Dorchester Days"- a title that infuriated the organizers of the annual June celebrations that mark the community's original settlement. Some old-school Dorchester loyalists hit the roof because the neighborhood that Richards showcased was not the one that they wanted the world to see- even if Richards only had enough cash to run off about 2000 copies. Most of the photos depicted the chaotic- and often dangerous- streets of Uphams Corner and Dudley Street in the mid-1970s, when Richards was living with his then-girlfriend in an Humphrey Street apartment. It was a stark record of a world fraught with arson, violence, sidewalks strewn with broken glass and racial violence. The black and white images paint a bleak portrait of a city that seemed ready to collapse in on itself during the busing years. Even Richards, who was born and raised on Julian Street in St. Paul's (now Holy Family) parish, admits that the title may have been a bit off the mark. "I think in Savin Hill, they talked about the book as being an insult to the town," says Richards. "I think if the book had to be done again, I would call it Dudley Street. In some ways, that's more accurate." Nonetheless, Dorchester Days remains the title of a new 108-page hardcover edition of Richard's original work that has been re-published this month by Phaidon Press. The new book includes many period photographs- including several South Boston scenes- that Richards did not include in the 1978 edition. Richards, now 55, was unemployed and without any real direction when he made the photos, but has gone on to a fruitful career as a photo-journalist based in Brooklyn, New York. He has published three other books and contributed to Life and Time, traveling to Beirut, Uganda, Nigeria, and Bosnia on assignments. In 1998, he was named Magazine Photographer of the Year and won the Robert F. Kennedy Lifetime Achievement Journalism Award. It all started, however, with Dorchester Days, a book which brought Richards much needed attention, and eventually, a steady, paying job. At the time when he was walking the streets of Uphams Corner with his Nikon camera, those were two things that Gene Richards did not have. Richards had grown up nearby, the Irish-American son of a shipyard painter and housekeeper. He used to frequent the Denison House on Howard Ave. until his family moved out of Dorchester when he was 12 years old. After graduating from Northeastern University in 1967, Richards decided to become a VISTA volunteer in Arkansas and Mississippi, where he devoted himself to helping the poorest of the poor- and helped start a community newspaper. Back in Boston, Richards studied briefly under the legendary photographer Minor White at MIT- and continued to make photos while working in the Mississippi Delta, where his social activism made him a frequent target of abuse. In one run-in with the local chapter of the Ku Klux Klan, Richards was severely beaten. "I had a head injury and it caused a lot of memory problems to this day," says Richards. "I came back to Dorchester with that history of seizures." Why he returned to Dorchester in 1973 is another story. While at Northeastern, Richards had met and fallen in love with Dorothea Lynch, an Adams Street woman who shared his activist spirit. The two moved into a house on Humphrey Street- and while Gene recovered from his injuries, Dorothea paid the bills. As he struggled to break into the news business in Boston, Richards worked odd jobs and started spending time at some of the local hang-outs, like Lasalle's Bar on Dudley Street, gone now for many years. Over the course of months, and then years, Richards developed a trust with the people he met there and on the neighboring streets. Most of the photographs he made for Dorchester Days come from this period, from 1974 to 1978. "I was very shy and I think that the camera helped me with that," says Richards. "I'd pick up the camera and go walking around meeting people." At the bar where he met many of his subjects, Richards said he was "tolerated" more than accepted, but the "camera gave me an excuse to be there." One woman he met at Lasalle's- an overweight woman from the D Street projects who would walk to the Dudley Street gin mill each day- remains one of his favorite characters. "This is a woman no one cares about," says Richards. "I knew her over a period of years and she was probably the most discriminated against person I knew. She took a lot of abuse from people, but she had a lot of class that nobody knew existed. She became a hero of mine," he says. It takes a leap of faith and a wild imagination to find anything redeemable in some of the images from Dorchester Days. The most disturbing pictures come not from Dudley Street, but from South Boston, where Richards ventured during the height of busing's tumult. In one photo, a beaming teenager in a Southie tee-shirt proudly shows off a Ku Klux Klan recruitment flier. "Racial violence was really part of our life then," says Richards. "There was no avoiding it. It was there for all of us and all of us dealt with it in different ways." In his original Dorchester Days edition, Richards did not include some of these racially charged images, because he says, "I was very defensive about the neighborhood." Now, he says, he thinks it is important to include even the more inflammatory pictures. "The Southie stuff did effect Dorchester, big time. I also covered Roxbury during that time and had concrete blocks dropped through my windshield. It was a period of equal opportunity violence," says Richards. Richards knows that much has changed since he first captured Uphams Corner on film some 25 years ago. Eugene and Dorothea- who died of breast cancer in 1983- left for New York to seek treatment and work in 1981. Still, he often returns home to visit his elderly father in Quincy and occasionally drives through the old neighborhood. Richards doubts he will come back to add another chapter to his Dorchester Days collection. "It would be harder," says Richards. "I've been feeling guilty lately because I've lived in Brooklyn for nine years and I've never looked at Brooklyn. I think if I did take the camera and go out, it would be where I live." Still, Richards knows that the experience of living and working in the streets of Uphams Corner has given him the most important tools he needs to photograph almost anything in the world. "The people I always wanted to meet were the middle class people on the street. We weren't doing so well then and I felt at home there," he says. "I can go places in the world, but the lessons you learn at home stay with you." Editor's note: Dorchester Days is available at amazon.com and should also be available through the Museum of Fine Arts bookstore and Trident Booksellers in Boston. Brookline Booksmith will also carry it. The best bet is to call the bookstore first.